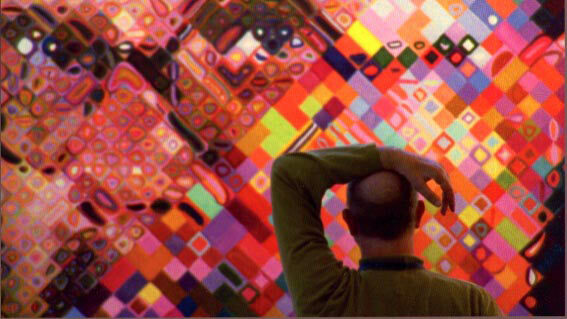 The new feature-length documentary of painter Chuck Close examines his personal working process and place in contemporary art as the reinventor of portraiture. Close's subjects - family, artists, friends - provide insight to his work and their own, rendering a collective portrait of a whole creative generation. 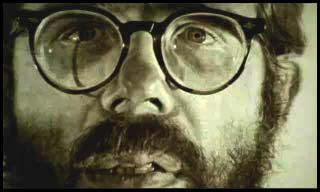 "Chuck Close has claimed the human face as his sole terrain." 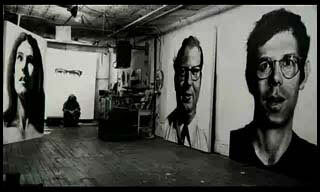 CHUCK CLOSE fulfills the promise of Marion Cajori's earlier short documentary, "Chuck Close: A Portrait in Progress," by incorporating many more in-depth interviews with such colleagues as Elizabeth Murray, Brice Marden, Janet Fish, and Dorothea Rockburne, as well as adding penetrating insights by Robert Storr and Kirk Varnedoe. We follow the rhythms of a painting's life from polaroid self-portrait, through 82 days of invention and discovery (including exhilarating images shot from the artist's brush), up to the last stroke - all realized on high definition digital video.